Study abroad is a popular program that takes in place in both undergraduate and graduate universities, and even in some high schools. The purpose of the program is to expose people to a different way of learning, to engage students in a unique way, and to open eyes to the various opportunities located around the world. 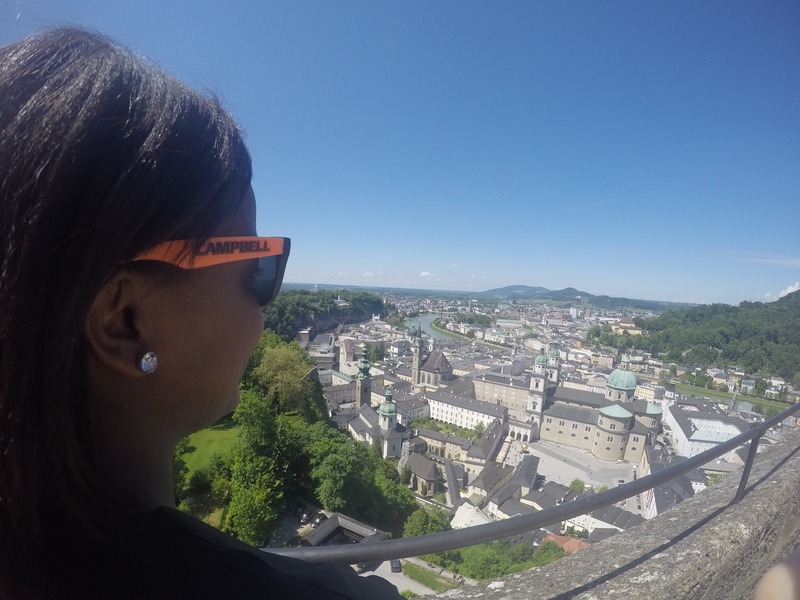 Each study abroad program is different from school to school – but they have the same end goal. I had the opportunity to study abroad three different times, once in high school and twice with my university. The first time, I was 16 years old, and several students from English class went to London, England. 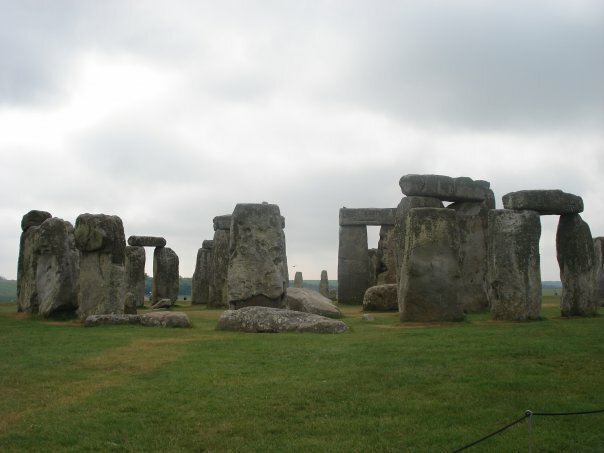 We got to visit Stonehenge, the London Eye [which to date is still the only Ferris wheel I’ve ever been on], the Shakespeare Globe Theatre, and so much more! I was young then, and looking back, I know I didn’t fully appreciate the opportunity I had before me. Despite that though, I fell in love with learning about different cultures and travelling around the world. Flash forward to the summer after my junior year. The psychology department had a study abroad program that visited France, Germany, and Austria, and I knew I had to be a part of that. To this day, I am so happy I made the decision to go! 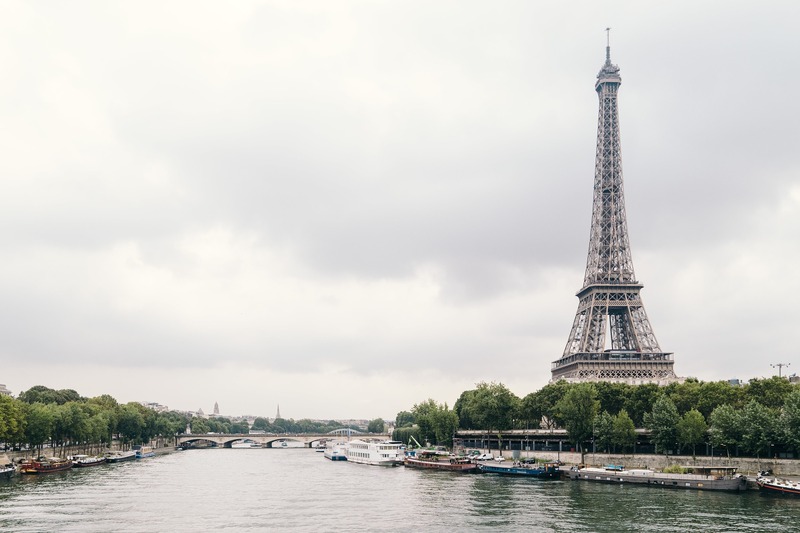 We stopped by many major psychological landmarks, and visited several universities, and I was introduced to my favorite city – Paris. Two years later, even though I had already graduated, I was invited to attend the Alumni and Friends Study Abroad program. Of course I accepted! 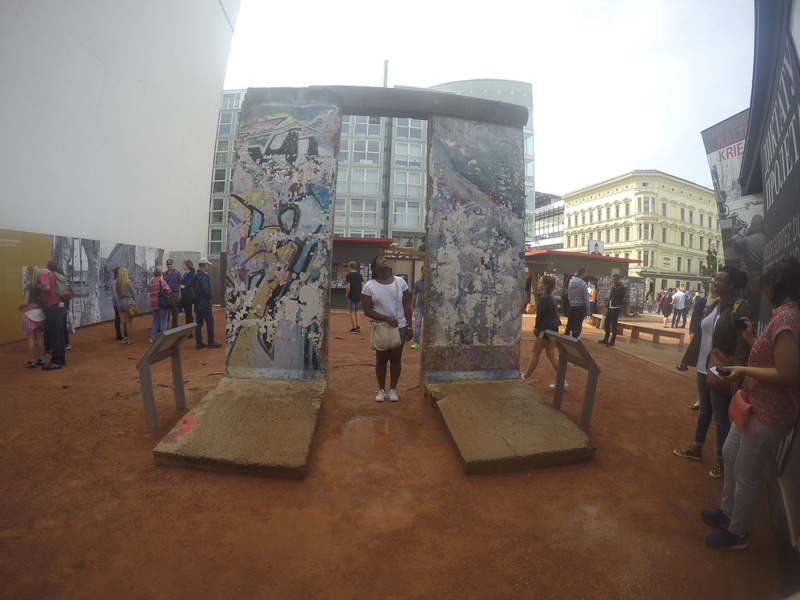 We visited the same countries of France, Germany, and Austria, but went to several different cities. I had a blast and continued learning so much! Obviously, I’m an advocate for study abroad programs! I learned so much throughout my times participating in them, and I get so excited when I hear people deciding to try one out. 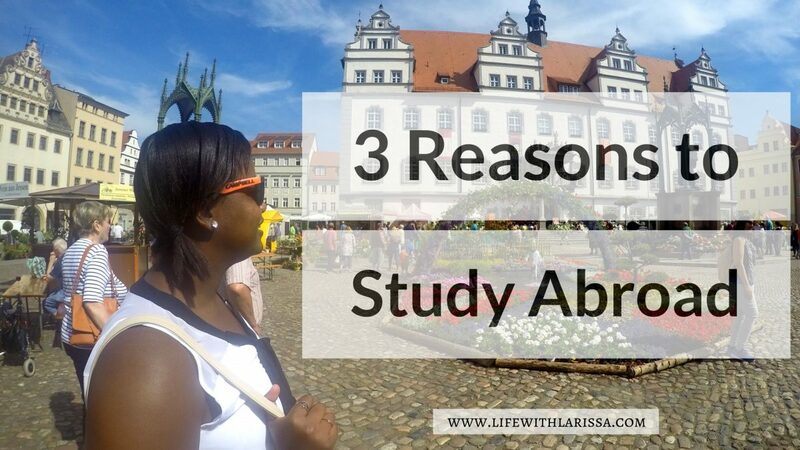 I’m sharing my top three reasons why you should consider studying abroad, in case you’re on the fence. I’ll start off with a pretty obvious reason – you get to travel! If you participate in study abroad, you have the opportunity to go to amazing places, and do amazing things. You get to view parts of the world that you might not necessarily have the chance to do otherwise. And if you’re anything like me, it will spark such curiosity and interest, you’ll fall head over heels in love with the entire aspect of travelling. Whether they’re people that are part of your study abroad program, or people you meet while you’re abroad, you do have the chance to meet some pretty interesting people. You get to learn from them, and you get to gain new perspectives. Even if you find someone from the same general area as you, once you get out of your comfort zone, your perspective tends to change. I have met some pretty cool people who I still keep in touch with today, all because we happened to be part of the same study abroad program. And I also connected with my professors on a personal level. We joked, and laughed, and had a great time exploring cities together. I still keep in contact with them to this day! Learning about a city and their culture from a textbook in a classroom differs greatly compared to learning about a city and their culture, while in the city. Learning of a culture involves hearing the language, tasting the food, watching the interaction between people to people. You can’t get that in a classroom that miles or oceans away from the place you’re learning about. It’s truly an amazing opportunity to experience everything first-hand, and you get a better understanding! And I personally think, it opens people’s hearts and minds to realize no matter how far away you go from home, we’re not all that different after all! 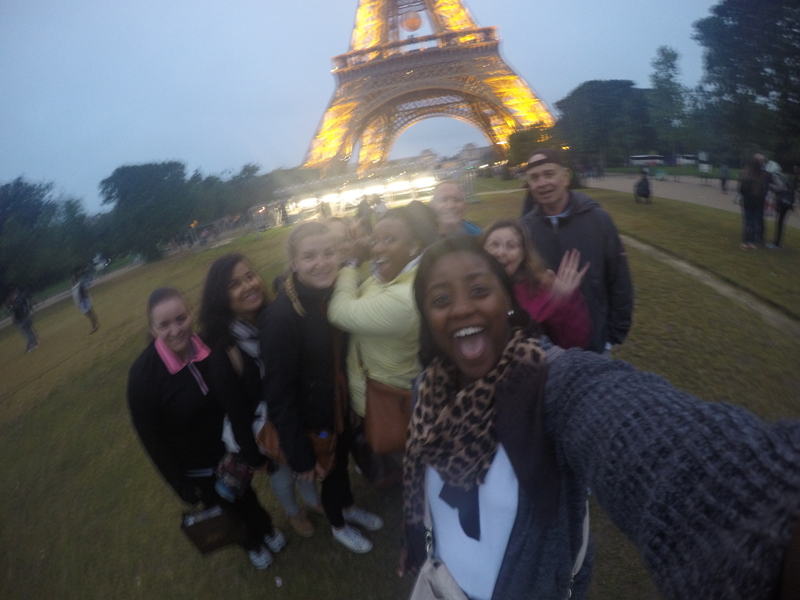 Paris at night – Blurry pictures make for great memories as well! As you can see, I’m all for studying abroad. I know situations may prevent people from partaking in that experience, and I recognize I’m beyond blessed that I was able to do study abroad several times. Don’t be discouraged if the financial aspect is the part that’s worrying you! Connect with the study abroad office and see if there are any scholarships available. You can also think about asking for money for birthdays and holidays to set aside for the trip. Getting a part time job is also a consideration you can think about. For me, every penny was worth it. I gained way much more than I spent, and ultimately, my love for travel blossomed through these trips! What about you? Have you been on a study abroad trip before? How was it? If you haven’t been, would you consider going? Amazing post. Living abroad was one of the highlights of my life. Thank you! I haven’t had the opportunity to live abroad yet, but I bet it’s amazing! I’m so jealous! You’d learn so much just by doing and exploring. Yes, exactly! And you pick up on things so much quicker because you’re experiencing it in real life, as opposed to trying to imagine it from a book or a PowerPoint presentation! I was able to visit Europe for a few weeks in High School and then again in College. Those trips were life-changing and ignited a passion for world travel! I traveled with high school groups to Australia and Japan, but like you, I didn’t get to appreciate it as much as I would have today because I was so young. It triggered my love for travel and cultures though. 🙂 My biggest regret in college is choosing an internship in Los Angeles over studying abroad in Australia. While LA had it’s own culture shock, I would pick going out of the country over and over again. Hoping one day I have kids that want to study abroad! I have wanted to participate in a study abroad program since I got to college. I did not really apply myself to participating like I should have. However, I graduate with my Bachelor’s next month and I am looking to start Grad School within the next year or so. I still want to participate in a study abroad program, and get the experience of being abroad, making new friends, and traveling while doing it. I love studying aboard. It is so much fun. Thanks for sharing. My oldest son had the opportunity to study abroad in Rome and it was such an amazing experience for him. That’s so cool! I’m glad to hear he had a great time! I loved studying abroad. It was like the best experience in my life so far. I met amazing people and learn from different cultures. It was just the best! Yes, yes, and yes! It’s seriously so hard to put into words because it’s just that great! I couldn’t agree with you … studying abroad just broadens your horizon and makes you see the world and people differently. Yes and yes! It definitely helped me develop a new way of thinking about things! Study abroad is so important for helping young people learn more about the world! I wholly endorse it – even though I didn’t study abroad until I went to grad school abroad – and love that you’re helping readers learn more about it! Thank you! And I agree with you. There’s so much more to learn – and some of those things can only be learned through going and exploring the world! Wow what an amazing program and opportunity. I’m sure there is nothing like the experiences you can gain in this program. It was definitely something I am blessed to have experienced. The programs I was able to partake in introduced me to new people, places, and ways of thinking. They also allowed me to create the most amazing memories! Hindsight is always 20/20! I almost didn’t go on mine, but at the last second I decided to and I’m so glad I did! I hate I never took the opportunity to study abroad! My sister is planning on studying abroad next fall semester! She is thinking Italy or England! These are great tips for those still in college! It would’ve been so cool to study abroad! Maybe! That’d be so cool! I hope to one day live abroad as well! If I was to do it all over again, I would definitely study abroad. Travelling and living in different parts of country is the best education you can give yourself. Yes to this so many times! I totally agree with this. I studied in Spain while in University. It’s such a great exprience to get out and experience differentparts of the world! Spain?! That’s so cool! I bet that was a blast! These are all excellent reasons! I think this should be mandatory. Thank you! And as much as I would like to think this would be a great idea, thinking about it logistically, I don’t think it would work out that way. There might be a lot of people who wouldn’t appreciate the opportunity and just cause trouble, and that wouldn’t be fun. I’ve thought about studying abroad but was always too nervous to really look into it. Now, I am all too ready to hop on my next adventure! I was blessed with the ability to study in Cambodia for three weeks during my undergrad. It made such a huge impact on me and I wish everyone had such an opportunity! I’d love if you could do a guest post on my blog about your experiences! I did a whole series on my Cambodia experience which got my blog it’s start! That’s awesome! I’ll have to head over to your blog to read about your Cambodia experience! And I would love to do a guest post, if you’re still interested! Wow, what fabulous experiences! Back in the day I never even remotely thought about studying abroad. Now, I wish I had gotten the chance to do it. I absolutely love to travel, and I still don’t do it nearly enough. 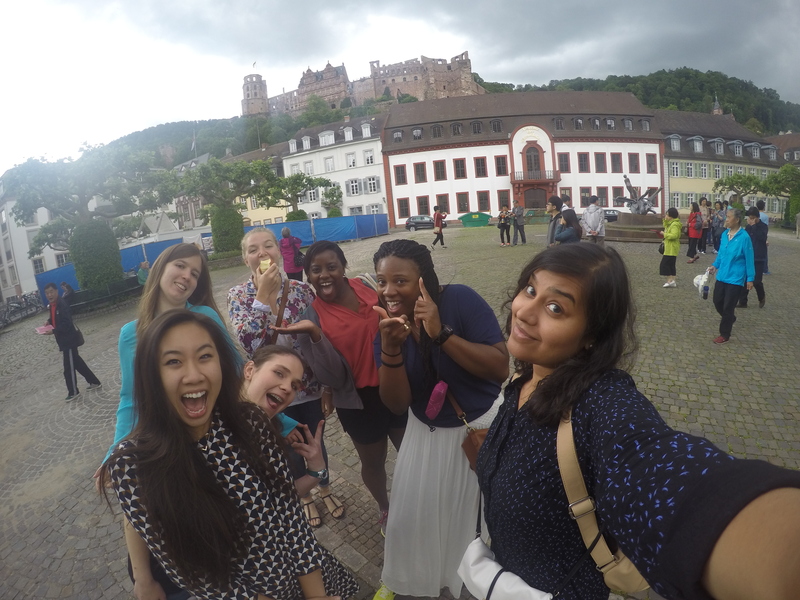 I honestly don’t even remember how I came across study abroad during my undergrad years, but I’m so happy I did! It can be hard to travel as often as we want with all our responsibilities waiting for us back home. I feel it is so important to expose ourselves to the rest of the world and meet new people. It seems like, you really enjoyed studying abroad! I’m glad that you can share your happiness while you’re studying at abroad. That’s really good that you met new people. Thank you! And yes, meeting new people is only one of the great aspects of studying abroad. And if you’re lucky, you’ll find a few lifelong friends along the way! Previous Previous post: Feature Friday: Meet Lena D.
Next Next post: Feature Friday: Meet Danielle B.